I think that – including this bootleg – I have less than ten bootleg of the Born In The U.S.A. Tour. 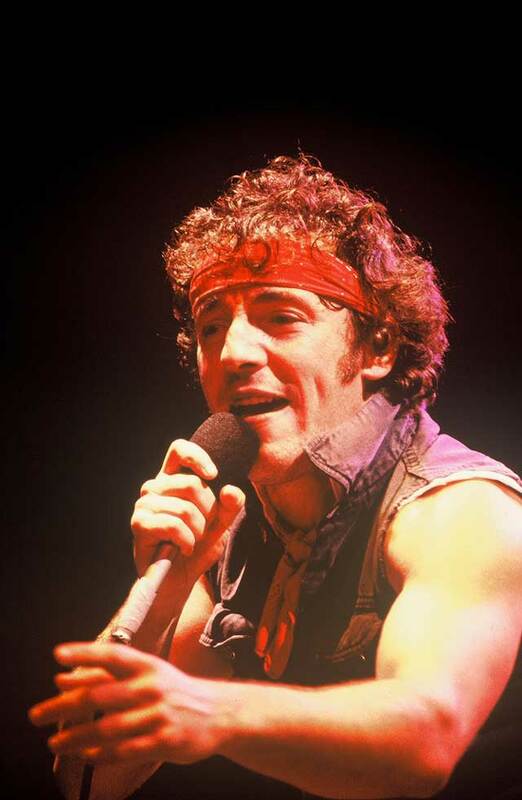 Between the end of October 1984 and the begging of November Bruce Springsteen and the E-Street Band stopped in Los Angels for seven concerts. New Tape Transfer at the request of Rene following a recent re-upload of his version to ABMS. This is the same source as used for the earlmv version. Quite a nice warm sounding show with good fidelity but various edit issues which are probably on the original source. 3 Sony HF90 cassettes (c90 – c60 – c60) from a UK Record Fair in the mid 1980s. Playback via Yamaha KX480 tape deck with dolby off and play trim at neutral. Recorded and edited using Audacity and files split using CDwave. Files tested and checked for errors and SBEs using TLH. Infofile details for the earlmv version are copied below. I have generally tried to split the files in the same place but the positions are approximate only. The original earlmv version is missing the musical bridge between Bobby Jean and Racing In The Street. It is only about 90 seconds that was missing but this really needs to be rectified. In addition there are some problems with the digital processing applied to that version which are very apparent on the quieter passages with a metallic echo and digital whispering. I dont know if this was already on the CDR source which I now believe was probably the main source for the earlmv release. My tapes had some issues. Born In The USA has some minor analogue distortion which I suspect was also on the earlmv source but this may have been tamed by the digital processing applied. Some minor distortion is also present on other tracks but is common to both versions. The crowd chatter at the start is also largely missing from my version but is not a big deal. For comparison purposes I have provided the earlmv versions of Born In The USA and Racing In The Street. I’m On Fire was cut slightly at the beginning and so I have grafted about 7 seconds from the earlmv version onto the beginning. It is easy to spot because the level of hiss changes. I have not applied any noise reduction and dolby off will increase hiss though for this show I do not regard it as much of a problem. Other problems are common to the earlmv version including some kind of edit during Pink cadillac not mentioned below. The various cuts mentioned are probably down to tape changes. I checked with mjk5510 who appears to have the same version so it does not look as if the Detroit Medley and other issues are recoverable over what is on here. The end of the Detroit Medley (at approx 10 mins) through to Santa Clause is Coming To Town is from the earlmv version because that is superior with the version from my tape included as an add on. I tried to complete my version of Santa by a graft from the earlmv version with my original also included as a snippet. Included for completeness is a second version of Racing In The Street edited from a substantial several minutes tape overlap. The edit on the first aligns with the start of the earlmv version. The edit on the second is at about 8:20. One runs 3 seconds faster than the other probably due to being across different physical tapes. I have been a bit bothered about channel balance where vocals are off centre and tried to correct for it a bit but notice the same issue on the earlmv version. The only other processing done was to normalise the volume. My first concern was to get a complete version of Santa. That’s why I had request the show on the spl board. Kevin was kind enough to upload his tape transfer here on jl. I’ve heard both sources because of the sound fluctuations. As a result, I then tried to patch the two sources. The Detroit Medley has made some problems. Both sources have their flaws. So I’ve taken most of the track from the first source and added Shake from the second source. Still a few bugs remain. This entry was posted in 1984, bootleg, born in the usa, springsteen and tagged 1984, born in the usa, springsteen by Tsitalia. Bookmark the permalink.